On April 21, 2019 / What is Happening Weekly? On April 14, 2019 / What is Happening Weekly? We have all heard of satanic cults. But what would it be like to be a child raised in one and then rescued from it? Teal Swan, author and spiritual teacher, has dealt with putting the pieces of her compartmentalized life together. She is adored by many. 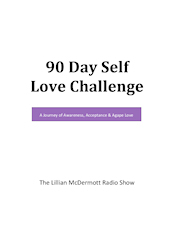 Week of 4/8/19, on The Lillian McDermott Radio Show/Classroom! On April 7, 2019 / What is Happening Weekly?